We found this recipe on Gonna Want Seconds. 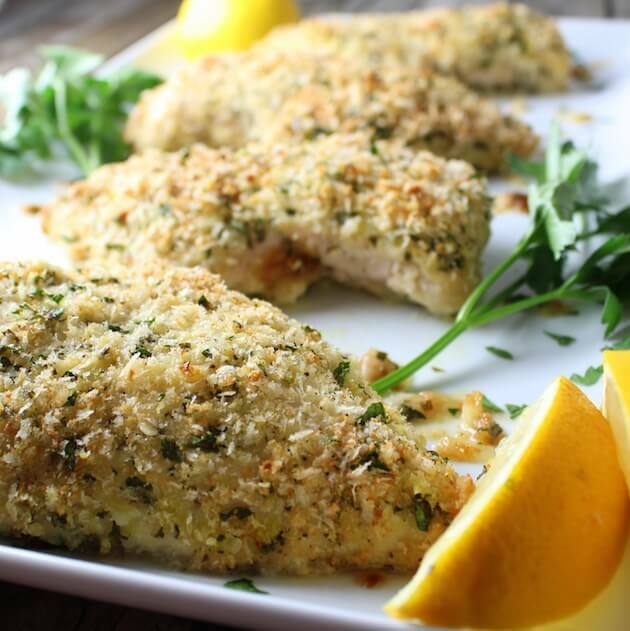 "Easy Lemon Pepper Chicken Recipe – it’s light and crispy, with a peppery, creamy lemon sauce that transforms your table into an elegant French dining room in less than 30 minutes. Made in One Skillet. Great served with pasta to soak up ALL the sauce!" Mix together flour, lemon pepper and salt in a shallow bowl or plate. Dredge chicken breasts in flour mixture, shaking off excess. Heat oil in large skillet over medium-high heat. When it begins to shimmer, add the chicken breast in a single layer, without crowding the pan (may need to brown in 2 batches) and cook 2-4 minutes per side until golden brown and there is no longer any pink. Remove the chicken to a plate and loosely tent with foil to keep warm. Add chicken broth, lemon juice, and sugar and bring to a boil, stirring to scrape up all the brown bits on the bottom of the skillet. Bring to a boil then add cornstarch/water mixture and continue to boil until thick, about 1 minute. Remove from heat and add butter and stir to melt. Return chicken to pan. Garnish with chopped parsley and lemon slices and serve. We found this recipe on Jo Cooks. "Garlic and Paprika Chicken – Deliciously baked crispy, juicy and tender chicken drumsticks with a garlic and smoked paprika sauce. 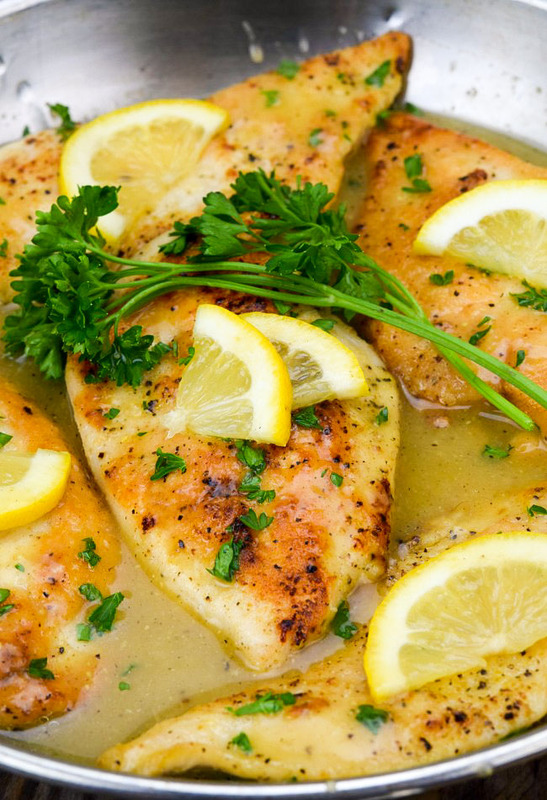 This is one of our favorite chicken recipes that we make often because they’re super easy and so good." In a small skillet heat the olive oil. Add the garlic, smoked paprika, red pepper flakes and the herbs. Cook for about 1 minute over medium heat, do not burn the garlic. Clean and dry the drumsticks and season with salt and pepper. 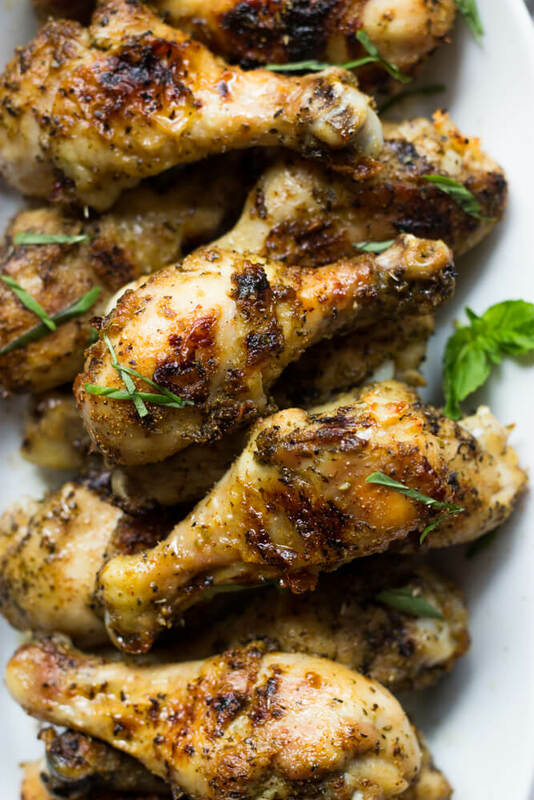 Pour this olive oil mixture over the drumsticks and make sure the drumsticks are coated thoroughly with the olive oil/paprika mixture. 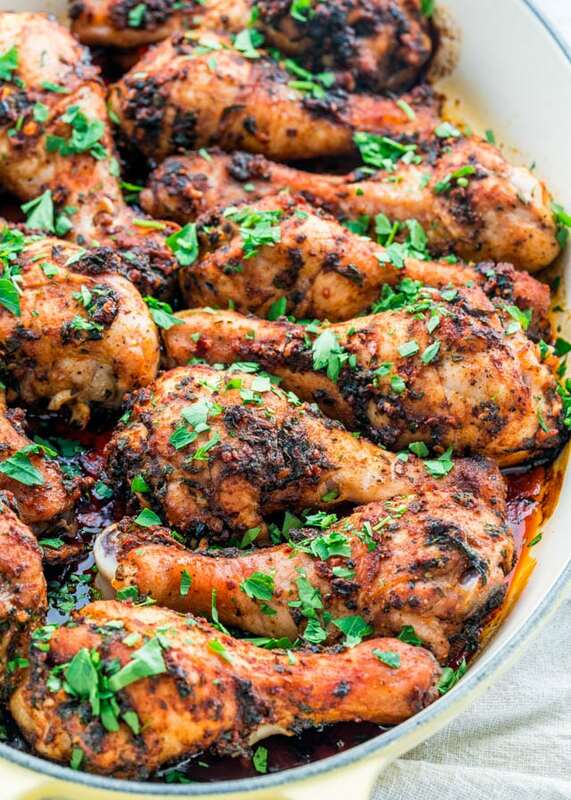 Place the drumsticks in a 9x13 baking dish and bake for about 45 minutes or until chicken legs are cooked through. Serve with your favourite side dish and/or salad.